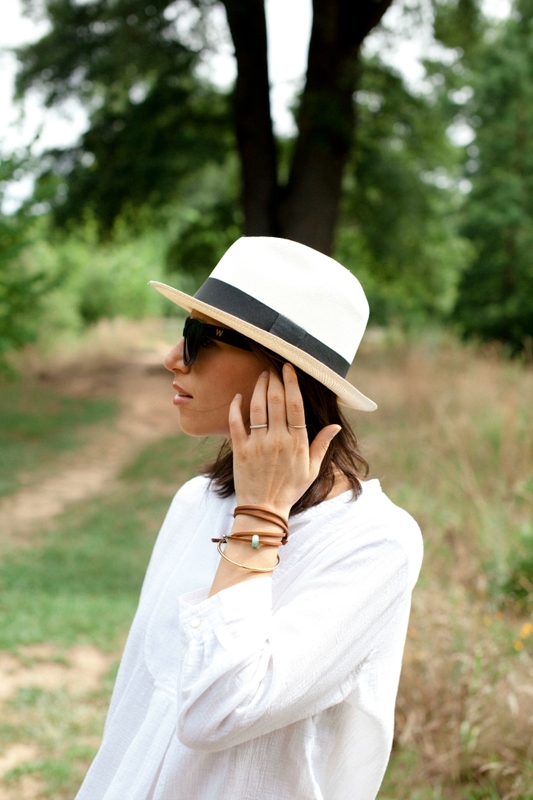 This week's Summer Style Series is all about the casual beach look. There's a lot of summer left so having your go-to denim shorts and oversized gauzy top are essential. 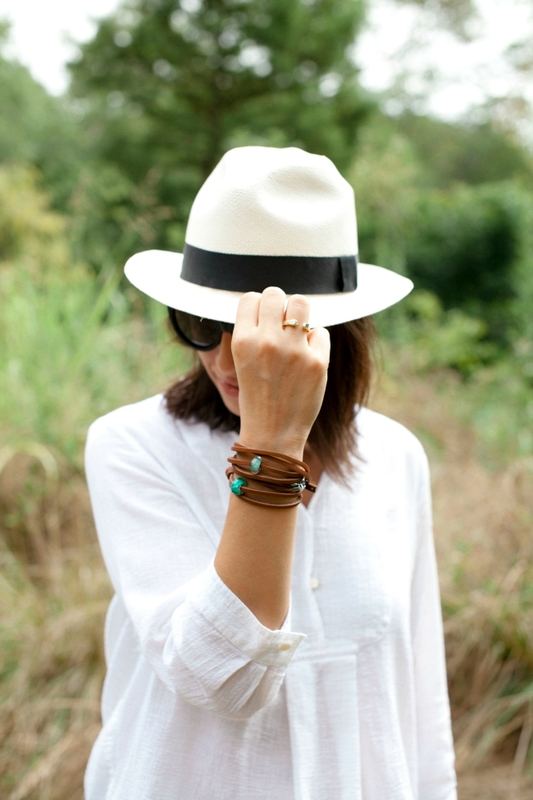 I accessorized with my favorite panama hat (see it here), a beautiful beach bag, and these unique Trollbeads bracelets. Do you know about Trollbeads? They specialize in making unique and eclectic pieces that are customizable. I love that no two beads are exactly the same and it's super easy to create your own piece of jewelry. 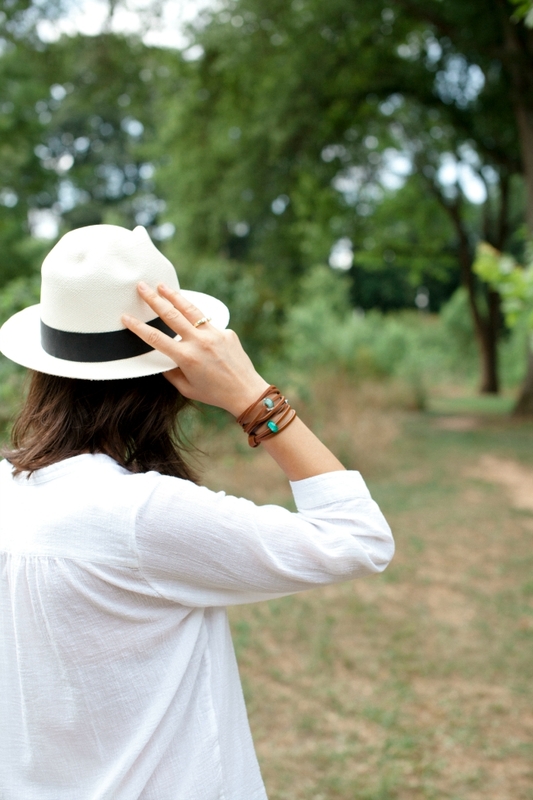 I layered my light/dark brown leather bracelets with the seabed, spring wave, and oasis beads for an easy and laid back look. All these beads are handmade and available in over 300 different styles. Just imagine all the cool combinations you can put together with your choice of over 16 leather bands and all those beautiful beads... The possibilities are endless. 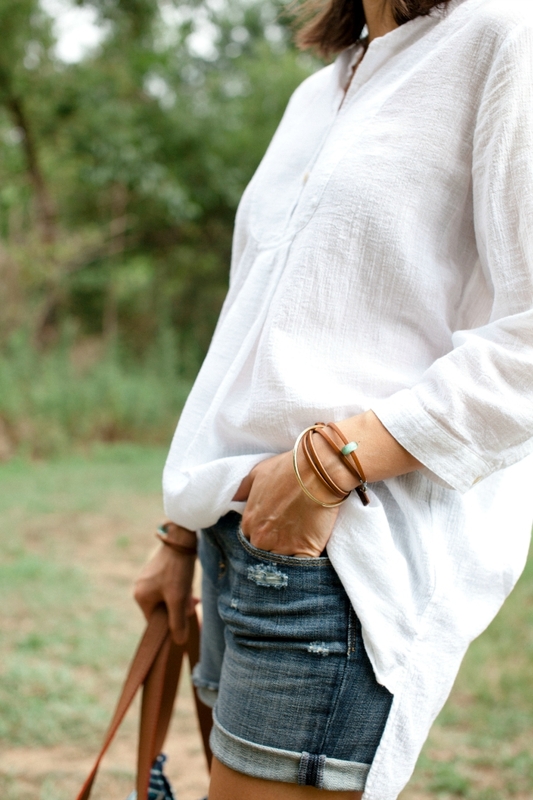 My lightweight tunic is a great summer staple. It's perfect as an oversized shirt or worn as a cover-up. This one is very similar to mine and on MAJOR sale. My denim shorts are really comfortable and they are still available at Nordstrom in lots of sizes (they run true to size). You may be sick of seeing this panana hat, but guys, it's part of my summer uniform. You gotta try it on. 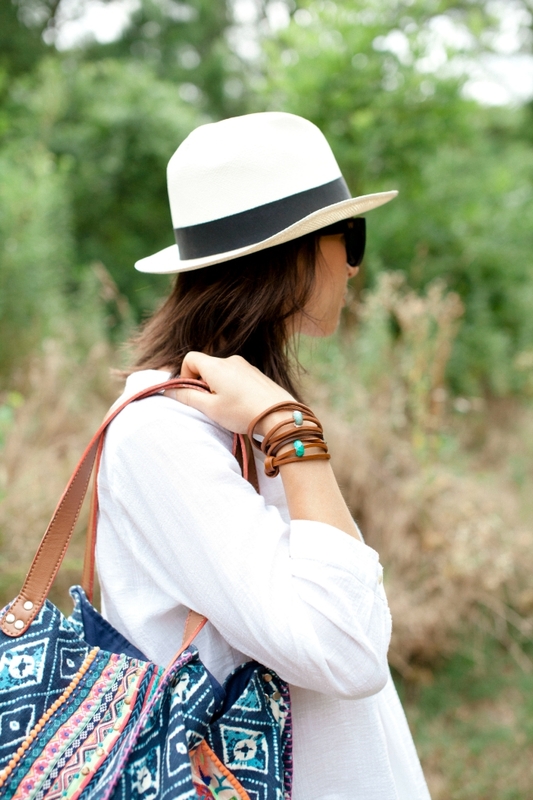 Be sure to check out this slideshow for great ways to style your favorite summer accessories. Don't miss Trollbead's selection of bracelets and necklaces and have a blast creating your own jewelry—I definitely did. Compensation for this post was provided by Trollbeads via AOL Media. The opinions expressed herein are those of the author and are not indicative of the opinions or positions of Trollbeads or AOL. Digging the 'fit and the beads, girl! Love this look per usual. 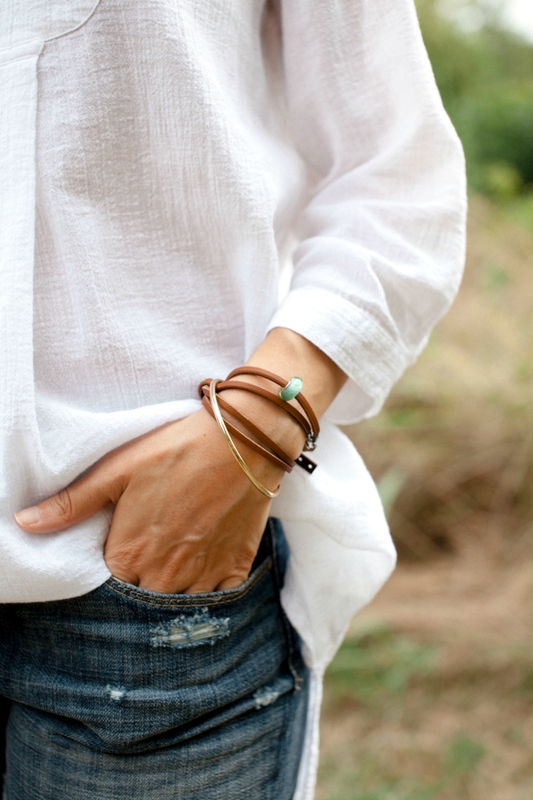 The bracelets are understated and so easy! I love them with this look. Also... those shoes are from Target?! Color me surprised.